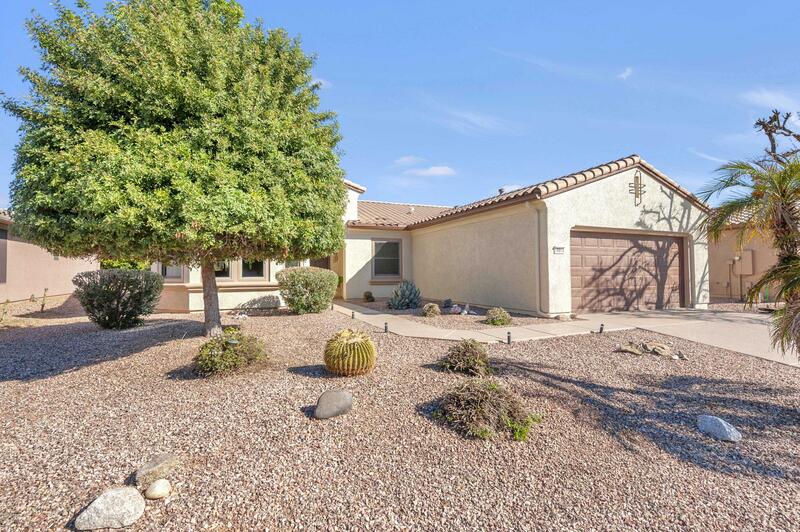 All SUN CITY GRAND HACIENDA homes currently listed for sale in Surprise as of 04/23/2019 are shown below. You can change the search criteria at any time by pressing the 'Change Search' button below. "Pride of ownership shows in this wonderful 2 bedroom + den/office extended Sierra plan. The spacious great room offers multiple windows for natural light, beautiful engineered wood flooring, cozy dining area & breakfast bar. Check out the eat-in kitchen with bay window which has been updated with granite slab countertops, stainless steel appliances including gas range and an undermount granite composite sink. The large Master Suite is complete with a sitting area, walk-in closet and updated walk"
"Beautiful property surrounded by large trees. Open floorplan on oversized lot for privacy. 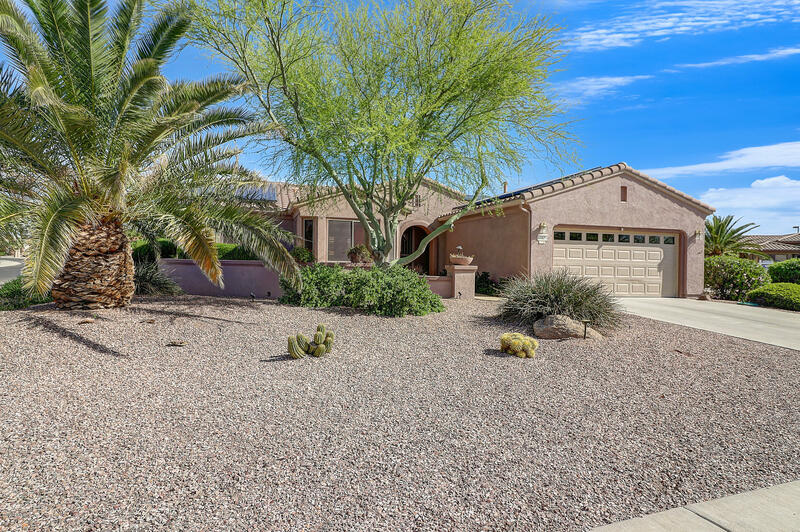 Upgrades include silestone counter tops, newer AC, newer exterior paint, Hunter Douglas shades, huge patio, tons of storage, Epoxy garage floor, hookups for golf cart, solar with low electric bills and so much more. 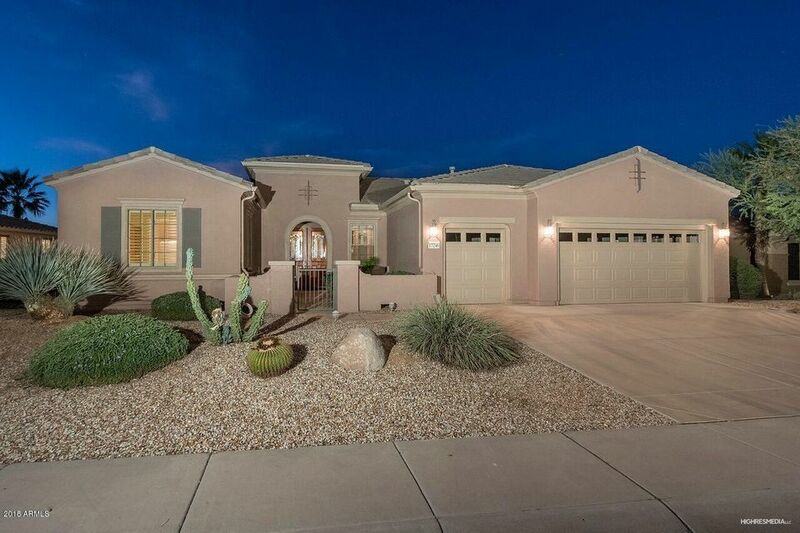 This is a must see home for your client."